... And Carlos Duran. Adi, who do we have on today's show? Today we are so blessed to have Mrs Molly Meehan-Brown. She is passionate about community based herbal and food systems, and specifically building cooperatively to keep the knowledge of our food, herbal medicines, teas, and our healing traditions alive and vital within our communities. She is rooted in the belief that plant medicine is the people's medicine. Everyone of us come from a lineage of plant people and this knowledge is our birth right. As the founder and director of Center Ashé Community Herbal Education Center, Molly coordinates programming at their two herbal centers located on a small herb farm outside of Washington D.C., as well as an herbal center in Manzanillo Costa Rica. Centro Ashé offers apprenticeships, a sliding scale herbal clinic, group trips and workshops, locally grown herbal products in Costa Rica. Molly particularly works with the indigenous traditional and Afro-Costa Rican herbalists in cooperative programming to support keeping this knowledge and their traditions thriving. Molly is most interested in working where plants, people, justice, and sustainability meet. She has a BA in international studies, human rights, as well as a masters in sustainable development and nonprofit management from the School for International Training. The lifelong study of plant medicine is central to Molly's path and heart song. She has studied herbalism at the Self-Heal School for Herbal Medicine in California, with various traditional herbalists in Costa Rica for the last decade, and attended clinical herbal programs at Sacred Plant Traditions. Welcome Molly. Today is really exciting because we have someone live in our studio today, which it's been awhile since that's happened. She's a local community member here in our southern Caribbean zone so we're very thankful that she's with us today. Welcome, thank you Molly. Molly, why don't you tell us a little bit about what you do when you work with plants as medicine. That really depends on what situation presents itself which really varies day by day. I'm a clinical herbalist. I sometimes have people contact me and fill out a health history form. I get all kinds of information, and then we do a full consultation and we come up with herbal formulas for that person. I tend to formulate for people based on that person. I don't usually use standard formulas. Everybody has their energetics and plants have their own energetics. I've been trained as an energetic herbalist. That's usually the way that sort of scenario goes. Here in Costa Rica, I can give you an example of last Wednesday. The first thing that happened was somebody for the community came shouting, "Blah-blah-blah-blah-blah, so and so got sandbox sap in his eye and he's blind." Then that's more of an emergency, sort of first aid situation. We had somebody have an allergic reaction to jackfruit. Then we had somebody ... Literally, within an hour somebody else wiped out on the street and totally busted their knee. Really different kinds of situations more like first aid ... What's immediately around me? What do I have in my apothecary? What are the plants that I have immediately around me to work with? It depends on the scenarios. Sometimes it's full on consultations and a little more of a sit down situation, and then sometimes it's like emergency. Let me ask you ... If we have aspirin and we have hospitals and we have modern medicine, why do we still need to go back to these old dirty herbs that are in the dirty and not nearly as advanced as all this great medicine that science has provided for us? Let's use the example you just gave of aspirin. Aspirin we find in nature. We find it in willow bark. We find it in spirea and we find it in meadowsweet. Aspirin is a great example of how modern medicine has extracted one specific phytochemical, one constituent, because we decided, "This is the medicine, so we're going to take that out of its whole context. We're going to isolate it and we're going to take it." It works pretty well. It's great for symptom relief. Aspirin takes away a headache or thins your blood. Then there's all of these side effects that when you take meadowsweet as a whole plant, or you take willow bark as a whole plant, you don't get these side effects. Aspirin by itself on an empty stomach, we know it upsets your stomach. It can cause ulcers, things like that. Meadowsweet on the other hand, if you take the full tea which contains that constituent and everything else that nature put into it, that whole, then it's actually specific for healing ulcers. We're really good in modern life about these ... Being mechanistic. These separate isolated parts. This is the medicine. In tumeric now, "We love curcumin and we're going to get a standardized extract of curcumin." Instead of just taking tumeric or cooking with tumeric, things like that. It's really about stepping back and thinking in systems. Looking at the whole. For me, trusting that there is a divine reason why this plant is the way it is. I work with whole plant medicine. Are you saying that in nature we find a package ... A solution package or a healing package that's within the DNA code of that plant? What science does is it extracts one particular aspect of that plant and it loses the package, so it's like taking a computer code but you only have a snippet of the code. You don't have the full code so then there's side effects of the result? We can see this in pharmaceutical medicine, but we could be just as mechanistic in herbal medicine and we are. What does that mean, "A connection to the plant?" What does that mean? I think that ... For me, it's really interesting ... As an example, a lot of people were saying that people are throwing their tinctures around here, and just having formula and formula names, but never putting the name of the plant. To me, I usually use simples. I use the plant because I want to create a relationship with that plant. I want to know how that plant interacts with me or interacts with somebody that I'm working with. All of the plants affect us in different ways. I'm not sure if that exactly answered your question. What is a tincture, Molly? A tea is an extract of herbs in water. A tincture is an extract of herbs in alcohol, usually 40% or above. An herbal oil is an extract of herbs in whatever oil you're using, coconut oil, olive oil. An essential oil is an extract of just the volatile oils of plants, which is a really great example within herbal medicine of us isolating one part and creating this really strong, almost drug-like ... Yeah, it's natural but essential oils are like about as far away from the actual plant as you could get without it not being the plant. They're really intense. They're super strong. They're not particularly sustainable. It takes an incredible amount of plant material. It's like a football field worth of lavender to produce a gallon of lavender essential oil. Whereas if you take a couple of lavender leaves and you smell it, you're still getting the volatile oils and that's in a natural ... That's how the plant exists. I use lavender essential oil. I use some other essential oils, but I use them with respect and pretty sparingly. If I wanted to include tinctures in my daily healthcare routine, how could that look? How might people ... Is it something you use daily or you use it as needed? Totally depends. For example ... I never put dosage on my bottles. Everything is depending on why somebody is taking something. If I'm taking mimosa for my sleep then I'm going to take maybe 30 drops of dormilona about an hour before I go to sleep in a tincture. If I'm having tummy issues and I'm going to be using bitters as a tummy issue, I'm going to take 15 drops about 20 minutes every time before I eat. If I am doing a cleanse ... I might do that for the whole year, I might take bitters every single meal. I might be using sleep medicine very regularly. If I have a particular ... I deal with a lot of staph around here so we might be using topical applications, but internal applications. We're going to maybe using 45 drops, three times a day of a specific blend I come up with for 20 days. Hitting it hard and that's a really specific sort of acute situation. Versus something that might be more chronic where we're taking adaptogens, more tonic herbs and things like that. It totally depends. The same herb could be tonic in one situation and could be used in a higher dose as an acute remedy in a different situation. I'm really inspired listening to you talk. I'm so blessed and lucky to live in this community. A lot of the different plants that you're referring to and things I'm blessed to know what it is that you're talking about. I can imagine for someone at home that this concept of herbalism is relatively new. It could be a little bit overwhelming, so I'm curious. If someone is wanting to take steps towards integrating more plant medicine, more natural therapies into their life ... Say they're at zero. They know nothing about it. What might be some good first steps for people to start to integrate this healing modality into their life? I think the two steps would be first, to walk out your door and see what's on the ground around you. Literally, no matter where you are ... You could be in New York City and there's plants hanging on the road, there's chicory, there's chickweed in the cracks of New York City. You can find herbal medicine where ever you are, no matter whether you're in a city or a country situation. We all have medicine literally outside of our door. Often the most plentiful weeds are the medicine that serves us the most. If you can't identify what the plants, then get in on a local plant walk so you can see what the medicine is around you. I'd say the entry into herbal medicine ... The heart of herbal medicine is tea. If you somehow were not around any plants then start with some tea bags. Drink and connect with plants that way. Be with the plants in any kind of way. I would also encourage people ... I always tell this to our students, too ... It's vast. It's like a lifelong path. Any of this is a lifelong path and none of us will ever know everything there is to know. Don't ever get overwhelmed. I know some incredible herb teachers that literally focus on one plant for a whole year. You be with that plant and you explore with that plant. You can meditate with that plant. You drink tea. You can tincture it. You can smoke it. You can sleep next to it, put it on your bed table. Whatever, but create a relationship with that plant. I think it's Phyllis Light who is this folk ablation herbalist talked about how it's better to know how to use one plant 40 ways than 100 plants one way. Plants are incredibly vast in their medicine. We tend to say, "Dormilona is for sleeping. Ginger is for motion sickness," They're so vast in their medicine. We're really good at pinpointing them, but they're very dynamic in their medicine. Take it slow, one herb at a time. Drink some tea. See what's outside your door. This is everybody's medicine. It's really and truly outside of everybody's door. Knowing a little bit about you Molly, something that I really find fascinating is that you have this vast knowledge that is herbalism, but you use that as a tool for integrating into the community and for providing opportunities for people within the community. There is a word that is becoming more and more popular, a concept that's becoming more and more popular. This idea of a permaculture. Using permaculture as a way of relating to each other both in how it is that we're developing our homes, but also how we're developing our relationships in our communities. What is permaculture and how does the art of herbalism fit into permaculture? How do you use it? What does it mean to you? Permaculture is a modern articulation of indigenous knowledge. This was Bill Mollison's articulation of system that have been employed by indigenous communities for thousands and thousands of years. It is first and foremost indigenous knowledge. Now it's been created into a science by Bill Mollison, all these different guys now, and ... I haven't heard many indigenous communities using that word, but I think that they embody it. Permaculture at this point is a systems view of life. It's about interrelationships. Sometimes when people are unfamiliar with permaculture, they might think it's about growing food or sustainable energy. It is those things. It's where you get your energy from. It's how you feed yourself. Permaculture is a blueprint. You can apply this to your home garden. You can apply this to your relationships. You can apply this to your business. Is that more or less? Totally. It's literally about all the interrelationships of everything in your life. There's principles of permaculture. What are some of those principles? I'm not a practicing permaculturalist so you might want to talk to some. I did a lot of permaculture farms and things like that, but the zones ... The concept around zones is design. It's a design philosophy so you're maximizing ... You're looking at nature as your guide of how you're designing your home space, your work space, your gardens, your farms, whatever. Nature's really smart. Nature is very economic. Nature doesn't do things by mistake. The zones are zone zero through five. The idea would be zero is the home, one might be you've got your chickens right outside your door or your kitchen garden. You can go harvest your kitchen herbs right outside your door. The stuff you have to visit frequently. As you move further and further out, you might have your timber for building your home. Something here, we would have plantains or root vegetables, something that doesn't have to be harvested so often so you don't have to visit those further away from your home space, zone zero. It would be out in zone five. You can always have aspects of zone five into zone one or zone zero. How do you use this philosophy? This indigenous technology that's now called permaculture, how do you use it in your business? How do you use it in your healing practices? Can we go back to the community piece? We were talking about how herbalism and her art of herbalism is a tool for her connecting to her community. Adi, we can do whatever you want. Let's go back to that. How you use herbalism as a tool for empowering the local community. Herbs are my relations. I feel like incredible relationship with plants as I do with people. I have been blessed to have incredible teachers at the community based level. I have a master degree, I have an undergrad degree. All of my plant knowledge has come from interacting with human beings outside of a university. Outside of any of those sorts of spaces. That's something that has been something I've been grateful for and is what we're doing at Centra Ashé. We want herbs to be accessible at a community level. We want this knowledge to be thriving at a community level. I've lived down here for ... I first got here in 2001 or 2002. I've been back and forth some, but when I got back to the D.C. area ... I went back to the D.C. area in 2010. My dad was sick and I didn't quite have a plan, but I knew I was going to be home and caring. I'm from the Washington D.C. area and one thing I saw was there was this graduate school in herbal medicine. It was like $50,000 or $60,000 a year. I was like, "Cool. What about everybody that doesn't have a college degree or wants to spend $60,000 to get this knowledge? This knowledge should be popularized." It is popularized in certain communities. It's being erased or lost for all kinds of reasons all over the place. That's all we do. There's a lot of community based herb schools around the United States. It's sort of like a lineage type of community, so there's all kinds of herb schools. Like, "Who did you study this with? This person. Who did you study with this person?" That's beautiful and I'm of several lineages. I've had several plant teachers What we do a little bit different at Centro Ashé ... I'm not the teacher at Centro Ashé. In D.C., we have an immense amount of incredible local plant teachers. We're highlighting those people and they knowledge that they bring. I always say, "We don't import superstars, we have the knowledge right here." I really believe that's true for any community anywhere. The same thing here. There's incredible plant knowledge here. Me, one of the things I think about too, is my place of privilege as a white female. I love teaching. It's something that I feel called to do and I have every opportunity available to me to be doing that. My space, the space that I create and spend my energy creating is a space that's largely ignored in the United States and the dominant herbal community, is the voices of people of color. It's the same kinds of thing that can be really had in Costa Rica as well. There are communities that have overrided knowledge that is never attributed to traditional communities, and they are some of our best plant keepers. That's a lot of the work that we do at Centro Ashé. If somebody in Washington D.C. wanted to come and visit Centro Ashé, how could they? Is there a number they can call? A place they can drive up to? We're located about 20 miles south of the city on the Maryland side of the Potomac River. We have a small herb farm down there. The number is 301-375-6082. We don't have that much time left. Www.centroashe.org. C-E-N-T-R-O A-S-H-E dot org. That'll be in the show notes too. Perfect. We do an apprenticeship program there that follows the seasons, so our students get to plant seeds in the spring, and then harvest and put our gardens to bed in the fall. It's one weekend monthly and then we do weekend programs. We have a big herbal gathering, that's popular gathering where we have about 200 people in the fall every year come out to the Chesapeake Herb Gathering. All of our teachers are local teachers. Anyone's welcome to come and teach, but it's really about knowing that all of this knowledge is in our local community. We don't have to import this knowledge from elsewhere. It's not like there's not incredible plant teachers all over the world, I haven't studied with many of them. Knowing we have so much of this knowledge right here. There's that philosophy that says, "Anything and everything you need in the moment you need it is within your immediate area." My regular diet versus taking herbs. What does that mean? What is that like? It's illegal like you're not allowed to practice it? You're not allowed to practice medicine and you're not allowed to give medical advice. As herbalists, for me I love that. I really hate red tape. I think as soon as we start licensing and regulating it, we standardize it, we say, "This is exactly all the same information everyone's going to receive." Then when you get your certification, we lose all of the traditional healers. We lose all of the beautiful, diverse ways there are to be an herbalist. You can be an herbal farmer. You can be a wild crafter out and sustainably harvesting herbs. You can be a teacher. You can be in a lab testing phytochemicals. You can be an apothecary medicine maker. You can have a little herb shop. You can be a clinician seeing clients. There's so many ways to be herbalists and I hope that it always stays that way. What we see with midwifery, we don't even have midwives in Costa Rica. That's totally outlawed and it's the same kinds of stuff in the United States. Once we totally standardize and licensure ... Nutritionist is a little bit of a different situation, but we eliminate all the traditional practitioners. You eliminate them because it all has to look a specific way. If somebody doesn't practice that way then they're either pushed underground which is something we're used to in herbalism. Nutritionists, there's license process. There's specific schools you have to go to. It's very oriented toward food. Nutrition, obviously a lot of supplements. It's not to say that herbalists don't have a whole lot of knowledge about them, but there isn't a standard way to be an herbalist. In the United States, you could technically practice if you've read one book. An armchair herbalist, they call that. You could have people that have been practicing for like 50 years, have studied with all kinds of incredible masters and gone to clinical herbal programs, stuff like that. In some ways it forces us to take ... Which I think is beautifully empowering about anyone that's approaching their health and taking responsibility for our health ourselves. It forces each person to ask their questions and take the responsibility. You need to know, "Is this person really know what they're talking about? This herbalist could be a total quack." How can you tell? I think it's the same thing when you go to a farmer's market, know where your food comes from. Create a relationship with your farmer or create a relationship with your herbalist. Watch what their practices are. All of these kind of things are really important. The village herbalist, who is there. I think a lot of times as herbalists we're called on that by our community. When I first started practicing herbal medicine it was like ... I was in Punta Mona. I had some basic herbal knowledge and I had been teaching CPR and first aid. Then I worked at an herb farm for like six months in [inaudible 00:23:57]. It was like, "No one knows anything, Molly, so everyone's going to come to you." It was like the community called me to do that. Not everybody has that experience but you hear that a lot. What's the relationship with food and healing herbs? It's one and the same. Unfortunately I think that herbs have become separate and stigmatized whereas in any traditional culture, they were one in the same. Bush medicine here, everybody drank a bush medicine every morning back in the day. You always start your day with a hot tea. It depends on what's going on what you might drink. It was part of the meal or it was part of your day. They were completely intertwined. What's the benefit of starting your day with a warm plant tea? It depends on what the tea is for, but of course you're putting that into your belly. A lot of times, especially ... A lot of people love like in a hot environment like here ice water or something like that. Our digestive systems don't quite like ice water, so hot tea in general is keeping your digestive fire going and not putting out that fire before you eat breakfast. What the benefits are probably depend on the tea, but in general drinking something warm is really excellent for the digestive system. Why start your day with that? The breakfast fire, but really why start your day with that? There's a ritual behind it as well. Being mindful in preparing it and enjoying it. Knowing that what you're starting day with is elevating your vibration. Is that part of the process, when you talk about connecting to the plants? That's the difference between me having a ginger pill ... Which I do have a bag of ginger pills that I'll bring when I have tourists that are getting into a boat and they're going to start throwing up. Useful, I respect it. There is such medicine in just the act of preparing your medicine. There's such healing to look in your pot. That picture I sent you of the medicine I prepared for dad, it's so healing even the process of collecting the plants, of connect ... When you go and collect pants, you ask the plants for their healing and that they are delivered to where they need to be. That they are the healing that they need to be to that person. If you get the feeling that that's not the right plant or if it's a plant that's looking rough, clearly we're not going to go with that plant. If it's being totally destroyed by insects, things like that. Going and collecting that plant, processing that plant, cutting that plant, putting that plant into the tea, looking at your pot ... It's amazing. I receive such healing just from the act of medicine making. That's beautiful. You said that in the US, it's illegal. You practice a type of herbalism where you practice a form of support for others in the US. It's pretty ... The legality of it here is also from what I understand ... What you basically have to be very careful not to do as an herbalist is to not practice medicine. You can't ... People might come to you with a medical diagnosis, but you can't treat a medical diagnosis. For me, all of that really ... You might come to me with a medical diagnosis and what I look at is energetics. The way I see the human body is I'm looking for energetic patterns and then I'm using plants to match those energetic patterns. Everything in the body is going to be hot, cold. It's going to be tense. It's going be relaxed. It's going to be moist or dry. Fire is going to dry out the body. What are things that are fire in the body? Anything from cardiac issues, that's too much heat. Are we calming, cooling? Here the medicine for cardiac issues or for high blood pressure is hibiscus. What is hibiscus? It's a refrigerant. It's one of the close cooling herbs on earth. That's plant medicine, it's cooling. Another great example of energetics is, I hate to use it, diarrhea. You know about the diarrhea that people have, chronic diarrhea. They're just always have loose stool. That's cold, and that's really different than when somebody has food poisoning and it's hot and it's burning and there's an infection. There's totally different ... There's hot and then there's cold. Same thing with a respiratory issue. In the respiratory we can have a dry, hacking, hot cough. You can have a moist, phlegmy, wet condition. What are you going to give somebody for a cold? What kind of cold do you have? What's going on? What are the energetics of what that is? I'm an herbalist. I'm looking at energetics. I'm not looking at your diagnosis of high ... I'm taking into account, of course, everything that somebody is telling me. I'll get information. I'm not treating medical conditions. Neither here nor in the States. You practice a form of education. I want to change gears for a second. It's always really important to understand the full scope of the guest that we have on the show. Taking us out of the field of herbs for a moment and going into the field of business and industry, you are a young woman by any definition and you have built a business that has an international platform. You have done it basically through your own will and, of course, the network that we all have that supports us. 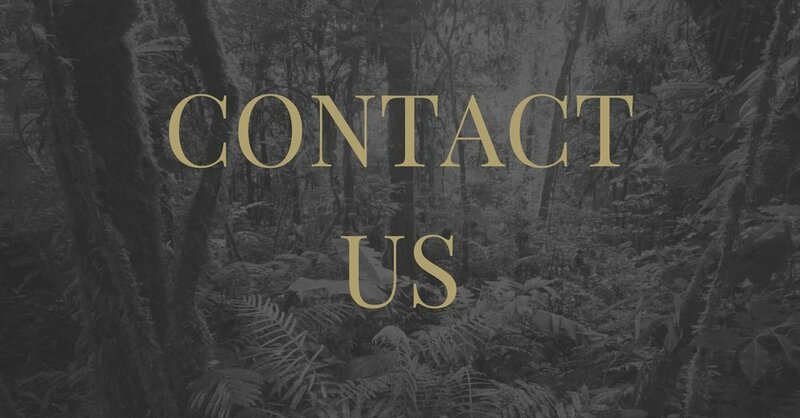 Talk to us a little bit about your business experience, and how has your communication with plants been able to support you and help you in building your business? It is. I've never been the development. I've always been on programs. I've been a program manager and things like that. I love coming up with ideas and I love working with people. I've never been interested in the money side. The reason that I don't work as a nonprofit right now is because I left the nonprofit world when I was reporting or chasing to money more than I was actually doing something. I didn't want to do that anymore. I know that there's another way. As a business woman, I'm rooted in the plants and these plants being accessible. We try to put accessible prices. I always think if we keep our prices low enough, the people will be able to show up and they'll have enough. Then we can all make a little bit of a living. That's been up and down. I'll tell you what, business for me is a struggle. That's real. I haven't figured it out yet, but I just know we're going to do this. We'll figure it out along as we go. You figured out enough to have a herbal farm in the States and to have a center here in Costa Rica. What was your guide for that? What was your motivation? When things got tough, what got you over the hump? I have no doubt in the work that we're doing. I know this is ... This has been something that I have known ... You could talk about vision boards when I was like 20. I literally have that name, Centro Ashé. I didn't know what it was going to look like. I knew it was a community center and I knew that there was probably going to be herbs or farming. This was my path and it was always clear. What does that mean? What does Centro Ashé mean? Centro is Center and Ashé is actually the Yoruba word. Out of Africa traveled into Brazil, traveled into Cuba, traveled into Haiti. It's the energy of creation. It is pure energy in motion. You'll find it within Santeria practice and various practices that have followed people out of Africa. That's what Centro Ashé means. That part alone got me stuck. I was like, "What?" Let's say I was talking about my friend who has a baby. That friend's baby had swollen gums or painful baby teeth. From an educational perspective, what herb should they be looking at that could possibly help with that? You gave me a head's up on this question. If I had access to a health foods for something like this, I love Hylands. They have a homeopathic remedy. That's very specific for teething and it works great. Here, in the jungle, I would use dormilona as a tincture topically on their gums. It's wonderful for toothaches. If there is ... You could also use clove. Some clove essential oil, slightly diluted. It just depends what you got. You got to see what's around you. If you happen to be around some kava kava, kava kava's great because it numbs out that pain. You always want to keep it clean too. You might do a little bit of a mouth wash with clove, which is one of the most antimicrobial plants that are out there. You can dilute some of the essential oil and do a mouth wash with that, it also helps the numb the pain as well. In general, you want to ease the pain of baby so dormilona does that. You want to get out, if there's some sort of infection, then you're working on a different level. It just depends on what you got around you. By the way, for here for gripe, for colic for babies, do you know they use [foreign language 00:34:52], which is interesting because for adults it's used differently. It's usually breaking up stones or something like that. Gripe water in the states for colic for babies would be fennel, any sort of carminative herb ... Fennel, basil, any of the culinary herbs. A lot of them are carminative, they're great for digestion. Here [foreign language 00:35:12] is what they call gripe bush ... Afro-Caribbean folks call it gripe bush and they use that for babies for colic. We also use the milk of the cilantro, the root milk. Not the typical cilantro you find in the States, this is coyote cilantro. It's something you find here. Let's say that I had a friend and this friend had a girlfriend that was half his age. He was really stressed out and he didn't know what to do like, "Oh my God." What was some of the things that he should be looking at to educate himself as far as de-stressing with plants? This, he wants to drink something. Noni juice is good for stress. Noni as well, and it's tonifying. Anything that's tonifying, building to your whole self, is going to be help you deal with stress. An unpasteurized noni juice. A dormilona tea. You're building the gut health is ... If you're going to have a fermented juice, everything that's helping out the gut and your gut health is 100% connected with your brain health, with your mental health. What about damiana would be good for stress? Damiana, it is good for stress. I think that chamomile is wildly underappreciated. It's an amazing anti-spasmodic for all kind of muscle cramping, the body, women's ... All kinds of tummy cramping. It's so relaxing to the body and it's also antimicrobial so you could use it for a UTI. It is so good. Chamomile is like this amazing woman that we take for granted because we see her every day, everywhere. We're like, "Ah, yeah." We forget how amazing chamomile really is. Thank you for that. The final one is ... Let's say I had this friend and she has this man that ... The dude is just giving her headaches. The dude is not stepping up and she's got to take care of the dude and her life. She's trying to figure out how to either get him on track or get him out the door because she's got to go forward. She's getting this headaches. What can she take for the headaches? ... Spirea. These are all temperate climate plants that I'm naming right now. You could ... Here, dormilona. The States all use valerian as well for headaches. I like using skullcap for headaches as well. Skullcap is great. I like skullcap. All those I have in the apothecary here, but I also try to use as many local plants. Depends on where you are. If we're in the States or we're in Canada or in Europe, I feel really bad for all you guys suffering in the cold. Outside of that, you can go to a Whole Food Market and you can buy these things in bulk. You don't have to buy the pill or an extracted liquid. You can buy the actual plant dried in bulk form. Now you simple make a tea? That's absolutely an option. The Whole Foods or your local food co-op have some bulk herbs. I don't think Whole Foods has the best, most expensive ... First go to your local herb farmer. First grow it yourself, then look around you in your community, who is growing your herbs and go there. ... Organic herbs. Those are great sources for herbs as well. Look what's around you. You can grow it yourself, collect it yourself, sustainably and responsibly, or if you can support somebody in your community that's making medicine. Look for your local herbalist. Everywhere has an herbalist, go to your local herbalist and find them. Support them because we're up against a lot. Two books and two movies you'd recommend, Molly. Such a hard time with the herbalism bible question because there's so many good ones. I would like to recommend the lady from Raintree that got shut down by the FDA. You remember the name of her book? Nature ... I'll put that. I'll find that somewhere. Rainforest, I think her name was ... Linda Tailor, I think it was. No. Linda Tailor, I think it was. Rainforest botanicals. The FDA shut her down two years ago. That's one book. What's another book? As far as in the States ... Great books that I love as far as getting to know the plants and growing plants, I recommend with Richo Cech out of Horizon Herbs ... I just changed their name of their company. He's got an herbal medicine making book which is really wonderful for basic remedies or ways to interact with making medicine yourself. James Green also has a really good medicine making book. Those are good practical skills books.I love some of the books ... There's one called The Language of Plants. I can't remember the lady's name, it's Juliette something, and then Stephen Buhner. They do a lot of work with ... Especially in the Language of Plants it's based on the Doctrine of Signatures so it's really this idea that plants, the way they look ... It's not like she came up with the idea. It's across cultures from ancient times. The way plants look, the way they grow, the way they're shaped, the colors that they are, where they grow, sun versus shade, around a lot of rocks ... They're teaching us their medicine. They're communicating with us. Getting to know the Doctrine of Signatures. There's one called The Language of Plants. A lot of plant spirit medicine stuff. Stephen Buhner some does good books on that. When Nature Speaks from Ted Andrew. Which one is that one? He has an Animal-Speak and When Nature Speaks. Oh, Animal-Speak. I love Animal-Speak. He did another one, When Nature Speaks. I thought it was really good. Any movies? That's a little more challenging. No, there's a beautiful movie called Numen that was released somewhat recently. That's a really well done film with a lot of great herbalists. That's a good one. I think we have a lot of work to do with creating these documentaries that ... It's the same thing in the herbal conferences in the States. They feature a lot of the same elders, which are fantastic, and we really need to create space for new voices. Particularly voices of color in the United States because they are incredible herbalists. They're very much part of the herbal community and quite ignored. I got something to say, imagine that. One, Molly thank you very much for coming. Your presence on today's show opened a huge door for awareness. I think it's really important that we all understand that we are in a state of degradation. We have lost the things that made man what man could be. In that journey of losing, one of the things that we're losing most of is contact with nature. As a result of that lack of contact, we're losing indigenous knowledge. Why is that so important is because the indigenous have become the final line of gatekeepers in maintaining what the true essence of living in nature means. Not only is it important for us to recognize that modern medicine is a failure in only treating symptoms and only providing profits, but it's also a failure in maintaining our health. It's actually achieved the complete opposite. It's put us in a state of a living hell. Literally, modern medicine is destroying our planet and it's destroying the human being. I think it's really important that we move away from convenience and we move back into nature. No matter if you're sitting in an office or a high rise building, or a pickup truck listening to this. Do what you have to do to become more educated on how powerful and how truly healing homeopathic medicine, natural medicine, and plant medicine are. In any moment that you can, without guilt but with commitment, make an effort at preserving indigenous knowledge. Please make an effort to preserve and repair our planet. Remember ... Sorry ... That all of us come from a lineage of plant peoples. All of us come from some kind of indigenous knowledge somewhere. This is in all of our pasts, whether it's been one generation that forgot it or it's several generations. All of us are plant people, this is all of our knowledge. I want to make sure that we're not alienating listeners and our fellow man that have been educated, maybe miseducated, on whatever healing modality they are using to support their own health. I think that I would disagree with you Carlos in saying that we are in a state of degradation. I think that the Shakti is rising and even within the last 10, 15 years, I think that the complete landscape of humanity has shifted incredibly. I want to say that as far as Western medicine goes, if someone breaks a leg, to have those short fix things I think that there is some benefit to that system. What we need to move more towards is a more wholistic model of understanding not just the symptoms that need to be fixed on the outside, but how we can really begin to move towards addressing the root of the problem on the inside. I think that that's shifting. It shifts for us, yeah. I agree with you. What I'm saying is that we need to continue that. We need to engage that fully. I agree with you if we break our leg, it's nice to have a cast although people have been breaking legs for thousands of years, way before hospital. I think the problem with modern medicine is, "I have a horrible car accident. I need to go to a hospital." That's true, but what is the cause of that? What was the energetic sequence that brought my life through, choice and consequence, to that broken leg? To that accident? We can have that conversation another time. I want to thank you Molly, so much for your time to be here. We're so spoiled in our community to have such rich wisdom. Treasures, phenomenal women in business. I want to thank you, Molly, for all the wisdom to raise your own personal vibrations, to raise the vibration of our personal community. I want to thank our listeners for their commitment, for your commitment to raising your own personal vibration. I'm Adi Shakti. This is Vibration Rising Radio. ... and Carlos Duran. Adi, what's today's topic? Today we are going to talk about the sacred plant medicine of ayahuasca. From the heart of the Amazonian jungle. From the heart of the Amazonian jungle, and there's lots of sacred plants and power plants, I've heard them called, all over North and South America, with peyote and San Pedro further north, and then you get into the ayahuasca further south. Preserving the sanctity of these plants and their use for the indigenous tribes is an important thing, and I think that, as we move into this new paradigm and this new age of awakening, we start to blend our values, our North American values, with some of the medicines and different healing techniques that are available globally I know with yoga, with any sort of ancient practice. We're starting to mix this into a retreat format and where there's money exchanged and tourism and all of these different things that can make things a little bit complicated. I want to talk about it. I want to talk about what are these plant medicines, ayahuasca most specifically. Where do they come from? What's the direction that it's headed in, and how can we as spiritual warriors really commit to being as conscious as we can as we move forward in relating to these medicines? A little background first, why am I the one answering these questions? I've been working with one shaman for the last five years of my life, Taita Juanito [Chindoy 00:01:57] of the Colombian Amazon. He is of the Inga Tribe and also studies under the [Seona 00:02:03] lineage. Over the last five years, I've had the opportunity to sit with him in the Amazon, to sit with his teacher, who's 109 years strong and still very active, very full of life. He's one of the elder taitas of Colombia. Over the years, I've had the opportunity to acquire some information, some knowledge, some direct experience. I use the word some because, even though it's been five years, we're talking about a culture that's thousands of years old, and, as a universal wisdom, like in all other universal wisdoms, there's many layers to it, and there's a lot of depth to it. Here I will do my best to answer our questions, and if I don't know, I simply don't know, and I'll just say that. The first question I would like to dive into is I know with the yoga practice ... And that's what I have the most direct experience with, but there were generations of secrecy around the practice, and there was a collective ... from what I understand in the history of yoga, there was a decision that was made among the leaders that decided that it was time to share the practice with the West. For yoga, for me personally, the first thing that you dive into is the lineage and why it is that you're even qualified to have this conversation. I'm curious about this component of the secrecy, or why is it now that these plant medicines are being used, and what is the relationship of the lineage, and how are those two things connected? Namaste. This is Adi Shakti, and I just wanted to take this opportunity to invite you down to Cost Rica to partake in one of our personal transformation intensives here on the Caribbean coast. You can head over to PassionYogaSchool.com to learn more about our upcoming intensive trainings here in the jungle. Thank you so much, and I look forward to seeing you here in the jungle soon. Namaste. Adi, that's a great question. About 30 years ago, what happened is very similar to what happened with yoga. About 30 years ago, simultaneously, throughout the tribes of the Amazon, whether it was Peru or Colombia or Ecuador or Brazil, the medicine sent a message to the tribal leaders. She said that she wanted to be brought out of the jungle and into the world because, up until that point in time, the medicine was reserved for the Amazon. It was virtually unheard of that you would attend a ceremony outside of the Amazon on tribal land. This was her request. She said that now was the time to bring her into the world. There's a very old, indigenous policy that talks about now, when the condor of the north and the eagle of the south would meet. This is what this means: Now what we're having today is yoga being propagated in the West. The medicines of the north, like the peyote, like the tamascals, like the San Pedro, they're coming down further south. Now, for example, with our culture, we're starting to incorporate tamascals, and we're exploring how to best integrate San Pedro and peyote with the culture of ayahuasca. Ayahuasca herself is traveling to the north, and there, there are elders that are seeking how to integrate her into their medicines. This is the meeting of the condor and the eagle, and that's basically it. It's now because now is when the medicine said bring me out of the jungle and into the world, and this happened simultaneously. There wasn't a meeting. There wasn't a conference call or a Skype call between tribal elders and leaders. This is what the medicine brought as a unified message. If you ask why now, because now is the time when we need it most. The story of ayahuasca is that there's many paths to enlightenment or many doors that we can walk through, and ayahuasca is one of these doors. Now, according to the teachings, the light force that's in the ayahuasca is the light force of the Holy Spirit or the spirit of the creator that dwells here on earth with us actively. It was hidden in the vine for this moment when we're experiencing this massive [dark matter of the soul 00:06:57] and earth. It was hidden so that the darkness itself would not be able to consume her. Now when the time of calling would come, she would be exposed to the world in order to bring healing, in order to bring consciousness, in order to bring unity. Does this answer the question? world in order to bring healing, in order to bring consciousness, in order to bring unity. Does this answer the question? Yeah. My next question would be you keep talking about ayahuasca as a her or ayahuasca as somehow communicating. What does it mean? For a lot of our listeners, maybe they don't have this relationship with particular plants. What does it mean for a plant to communicate? That sounds a little sci-fi. What does that mean? How do you melt into the subtleties, or how is it that you are able to start to listen to the messaging of a plant? There are a few things in that question. First, on the truest level of existence, there is no duality. There is no feminine and masculine; there's existence. Then we perceive energies in this world as separate, or they manifest as separate, the way that a man and a woman would manifest, even though we both embody masculine and feminine properties and energies. The ayahuasca is considered a feminine life force of God. It's a feminine aspect of our creator, but, in truth, when the brew is prepared, there's an aspect of the plant that's masculine, and there's an aspect of the plant that's feminine, even though they're interchangeable because duality really doesn't exist. There's a balance of energies, but the consciousness, the driving essence of the force in the ayahuasca drink, the brew or tea as some people call it, depending on their culture and tradition, is a feminine force. The vine is here now to bring consciousness, and so the question is how do we connect to that consciousness to, like you said, to listen to the plant? The truth is that all of nature is always in concert, and this concert is being played for our benefit. When the birds are singing and when the trees and the leaves are rustling and ruffling with the wind, when your cat is meowing, this is all of nature speaking to us. Even a piece of kale has communication for you because we know, through science, that all plants have DMT. They have DMT receptors, and so DMT is the cosmic fiber optic line that connects communication with all of existence. It's not just that the ayahuasca is unique in communicating; no, it's that all of nature has a unique communication with all of man and man with all of nature. Now the question is how do we become more in-tune, more receptive to this communication? That's through personal practice, by us cleaning ourselves of the mental noise, by us healing from past traumas, by offering forgiveness to those that we feel have hurt and betrayed us, by offering forgiveness to ourselves. Forgiveness is the first component in clearing up the dredge that's limiting communication. Then comes gratitude. Once we become grateful for life, for the things that we have, for the things that we don't have, when we're grateful for the things that other people have, for the things that people don't have, when we practice gratitude, then we're able to eliminate the noise of the mind. Through forgiveness and gratitude, we begin a daily practice. The way that we live will, by definition, begin to [synthesize 00:11:02] us more with the natural rhythm and the natural communication that has always taken place with all life around us. Good day, Vibration Rising Radio listeners. This is Carlos Duran here, just wanted to let you know about a project we have bringing indigenous art from the Colombian Amazon out into the first world. If you'd like to check out the pieces or learn more about how the project works and supports local tribes in Colombia, please go to Facebook.com/PintasdelJaguar, or just scroll down and follow the link in the show notes. Thank you so much, and have a blessed day. Carlos, you talk about clearing the vessel, and you talk about the different qualities and the DMT that exists in all plants, and starting to have a relationship with all different sorts of plants and connecting around that DMT or the consciousness molecule [that started 00:11:59] to understand it. For me, I work with plant medicine, but I work with cacao. I work with doing herbs, chamomile in the evenings if I'm feeling stressed or what I consider to be more subtle energies. For me, it's a way, if I'm feeling unbalanced internally, I can turn to some of these tools, these plants that I have outside of me to bring me into a state of balance. One of the things that I struggle with a bit with ayahuasca is I wouldn't describe the experiences that I've heard secondhand from other people as subtle experiences, that it seems that it's a very, very deep journey, which I value that, but I am concerned. Maybe some of the listeners might have this similar feeling of diving in so deep and coming back out of this experience and not really integrating in a subtle way. Where the yoga is very one baby step in front of the other moving forward, where this seems like ... You hear the stories about the vomiting and the shitting, all of these things that happens in the context of the experience. What would you say to that? How does one re-get their footing? How much is too much? When is it appropriate to partake in an experience like this? Who's it for? Those types of things. How do we bring ourselves back and reintegrate after an experience like that? The first thing that I want to say is that we have to have awareness in this world because, like my taita teaches ... Taita means guide, and it's the traditional indigenous word for shaman, is taita. We have to have awareness that this physical world exists, so whether we retreat to the mountain for a practice of vipassana, silence meditation, or we retreat to have a ... In other words, whenever we retreat to the mountain for any kind of spiritual practice, one should not ignore that one will be returning to the [mundane 00:14:19] world at some point in time. There's no point in ignoring this world or making pretend that it doesn't exist because it's really here. We have to see that, just like in every other spiritual path, there are those that are willing to pervert the teachings and are willing to manipulate the teachings for personal gain. Just like with anything else that you're going to experience for the of the time and that you're going to go out somewhere to find this experience ... And what I mean by out, I mean outside of yourself as a sentient being. You have to have awareness of where you're going and who you're going with, so it's important to check references, to have recommendations because this is a responsibility for self. I wouldn't go sit in a yoga studio with a yoga teacher that's not recommended to me because this is my body. What if this person manipulates me in a way that causes a hurt to my body? I would not allow this, so the same way with ayahuasca. One would not go sit in a ceremony with someone that calls themselves a shaman without you first having verified their credentials and gotten references and recommendations and testimonials, preferably always from people you know, but if not, at the very least, by contacting whichever center or ceremony space that you're thinking about attending and asking them, "Hey, could I have a few references, a few people that I can call and ask them about your space and about your leader and about your group?" For example, with our culture, we're very open, so anyone is always welcome to check our references and see what's available and what we do and how their experience was, so that's one, is practicing a very conscious awareness of where you're going and who you're going with. The thing is that ayahuasca is for everyone, but not everyone is for ayahuasca, in a sense. Like I said before, there's 1,000 different doors, so, for example, while I enjoy reading about Sufism, I myself don't feel called to go practice Sufism, or, for example, there's other medicines that I'm aware of that I don't feel called. God put these medicines here for all of us, but not all of us are called at the same time to go to each medicine. That's one. The other thing that I want to clarify before going further is that there is experience, and then there is practice as a practitioner. For example, I experience yoga. I've been experiencing yoga now for 16, 17 years, but I would never call myself a yoga practitioner because it's not my path. It's something that I clearly have benefited from on a spiritual, mental and physical level, and it's something that I continue to experience. I have my own practice of yoga, and I go to yoga classes, but I don't consider myself a yoga practitioner. Ayahuasca is also like this. One can come to a ceremony or a series of ceremonies or be committed to going to ... I go to a ceremony when I feel the calling, to receive healing, to receive guidance, to receive instruction, alignment. In no way does that mean that you're a practitioner of the path or that you have to become a practitioner of the path. In fact, over the five years, I would say that 99.2% of everyone that we've had the opportunity to share ceremony space with are not practitioners of the path. They come for their healing. When I go to a yoga class, I come to get what I need, and they come to ceremony to get what they need. In no way is there an implied or an intended commitment to the path itself. The medicine is there for all. Why the vomiting and why the diarrhea? It's just like everything else in life. There's levels of intensity, and there's levels of depth. I can go for a light workout and do maybe a little bit of jogging, a little bit of yoga, a little bit of Pilates, a little bit of stretching. That's one level of fitness, or, like my dear friend, Jonathon, who's a cross trainer, he does with the respirator mask and these ... [our monkeys 00:19:02]. He does these intense, massive workouts with hundreds of pounds of weight, and I would never do this because it's an intense workout that I'm not attracted to. Like different levels of working out produce different results, this is like the ayahuasca. The tradition says that what happens with ayahuasca, because everything works on the quantum level and she is cosmic consciousness, when you come in to [commune 00:19:28] with her, that session that you're sitting with her, those few hours become like cosmic years. It's like a lot of time and space being condensed on the quantum level to one moment, so there's generational healing that's happening, ancestral healing, personal healing, personal guidance, personal alignment, because we all have a story. This story goes through all the molecules of all of our existence through all our lifetimes through all our ancestors. All of our ancestors have a story. If we look at the spiritual teachings that are coming out now into the world, it's all about healing our past. It's all about coming into communion with our ancestors. The ayahuasca is a very direct, intense way of doing this healing work in a shorter frame of time, and that's what it really is. The teachings teach us that we hold traumas in our body. These traumas are stored in our muscles, in our organs, and that our stomach is an entire cosmos. The diarrhea comes as a purge; it's a physical purge releasing these traumas from the body or these [ailments 00:20:43] that are hindering us physically. The vomit is a spiritual purge. This is purging the judgment of the mind, whether it's self-judgment or judgment of others. This is releasing the noise of the mind, and this is also releasing the decisions that we've made in the past and in past lives and that our ancestors have made in past lives that have caused negative energy or lower energy to come into our frequency. The vomit is a way of spiritual purge. Namaste. This is Adi Shakti, and I just wanted to take this opportunity to invite you down to Cost Rica to partake in one of our personal transformation intensives here on the Caribbean coast. 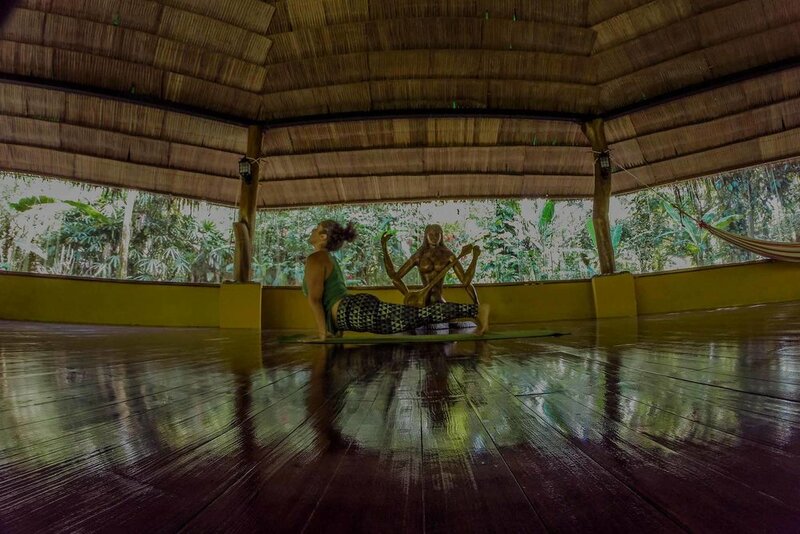 You can head over to PassionYogaSchool.com to learn more about our upcoming intensive trainings here in the jungle. Thank you so much, and I look forward to seeing you here in the jungle soon. Namaste. What makes ayahuasca ... In this intense experience, you talk about diving into this intense experience for intense benefit. We're melting into centuries of the cosmos and time and space and really experiencing heightened abilities to access healing, but I still have this same ... I don't know that you really, I guess, addressed the question that I intended when I asked it. If you're going so far so fast, how is it that you are then able to safely integrate back in? This goes back to the first statement that I made in your question, which was, first, you want to make sure of the space and the people that you're holding ceremony with. I'm talking about more once the ceremony's over. I'm a facilitator, and I do my absolute best to hold a space and provide support throughout the course of what it is that I'm facilitating. I am doing this through the practice of yoga, and I feel good about my process. Even with my students, once they get home, there's this disorienting process that happens, and we're just diving into these subtle practices of yoga. Then I spend a lot of time on the phone with my students trying to support them as they get their footing after they've received these subtle teachings. I guess, I'm just concerned or would be concerned about once you're gone, once the shaman's gone, once the smoke has cleared and the prayers have stopped and someone's back on a plane, is it safe for them? The first thing, again, this is why ... Because from my experience, I've only drank with one, single shaman and his tribe for five years, so, in that sense, I can only speak about what I've experienced and what we do, and then maybe I can speak about what I've heard from other people's experiences. This is why I say that the first thing, it's so important to have awareness of who you're having ceremony with. The other thing that's an important question to ask is what is in the brew. The brew should only have, basically, three components. The water, the leaf ... The leaf is either called chacruna or [chagropanga 00:24:00], and the vine, the caapi, the ayahuasca vine. Some cultures add other elements, other herbs to this, and in our culture, we don't agree with this because this isn't the way that we've been taught that the energy of the medicine works. Next, so, for example, in our group, when we hold ceremony, there's instructions given. There's integration instructions that are given after the ceremony for people to practice. Then we offer a clear communication. For example, in our group, there are four primary helpers, and each person that attends ceremony has their email address, has their Facebook and has our WhatsApp number. When they go home, if there's something in integration process that's outside of what the instructions given were or they have any issue whatsoever, even the smallest issues, they're very encouraged to contact us immediately. Then we offer them support. If we ourselves cannot support them, then we put them directly in touch with our shaman. There's never, at any moment, a disconnection. We're always available for the person, and we're always available to them to support that integration process. Beautiful, that's really important. It's the same thing we extend to my students, is that they have that access, and I think that's really important as people get their footing. I guess, for me, in my younger years, I experienced just a couple of times in my life though, but LSD. It is a intense medicine. Some would call it a medicine. I don't really consider it that, and it is really the only experience that I have had with a substance that's taken me to a place where I felt like I was no longer in my body or was not available or very, very disorienting. I haven't experienced ayahuasca, but I imagine it to be similar and that you're really escaping into these other realms. I'm just wondering. I'm not sure I you, Carlos, have experienced acid. I would think so. I would assume so. I just wasn't sure. If you were talking about LSD versus ayahuasca, what are the similarities? How is it different? Can you talk about those two? You're going to different planets on each of these journeys, so that's unique. ... manmade [crosstalk 00:30:11]. Correct, everything's a chemical, synthetic chemicals or manmade chemicals. The analogy that I use is that everything is like a dimension, and there's energy stored in all these dimensions. Synthetic chemicals bring you into dimensions that you may not necessarily have access to, so you've hacked into this energy field, and, wow, and it blows your mind, but then you can come crashing down. Then there's a depletion in your body because you were in a place where you didn't have the capacity to process that energy of that space. day, Vibration Rising Radio listeners. This is Carlos Duran here, just wanted to let you know about a project we have bringing indigenous art from the Colombian Amazon out into the first world. If you'd like to check out the pieces or learn more about how the project works and supports local tribes in Colombia, please go to Facebook.com/PintasdelJaguar, or just scroll down and follow the link in the show notes. Thank you so much, and have a blessed day. Carlos, can you abuse ayahuasca, or, if someone were abusing ayahuasca, what would that mean? Is that something that people can struggle with? Yeah. I think there's a few ways to abuse ayahuasca. In our culture, payment is very important, and it's not monetary payment. The payment that our culture teaches are required are attitude, action, thought and word. If you're drinking ayahuasca but you're not really transforming, you're not really changing, you're not putting into practice the guidance that she's offering you, then that's abusive. You're not respecting the medicine, and you're only going there for a journey, or you're going there for whatever reason you're going, but you're abusing the medicine because you're not actually paying. You're not actually transforming with the healing that she's offering you. Now, in today's world, you can access sellers of ayahuasca online, so I think that if you were to just buy this online and be drinking it at home, this could also lead to a form of abuse. There's no chemical dependency that's created. Scientific studies show that there's no type of psychological or physical addiction that's created, but maybe you use ayahuasca ... Maybe you do use it as a form to escape because you don't want to take on the day-to-day offerings that life has given you. For sure, I think that if you don't put into practice what the medicine offers you or if you take it just to take it, this could definitely be a form of abuse. Thank you. I was in Ecuador a couple of years ago [and now with a group 00:33:00]. We were doing a lot of beautiful work there with the Cofan people and rainforest regeneration and indigenous rights and all kinds of wonderful things. We did have a [Cofani 00:33:13] shaman that came and offered us ceremony, but it was a little bit different in that he drank, and we all took a posture of meditation and really worked to attune ourselves to him and have the experience that way. What I'm hearing you say is there's a lot of different paths. There's a lot of different traditions. There's a lot of different ways that it's practiced. What you were talking about ... And we're headed towards this goal. Whatever the path is with ayahuasca or otherwise, we're headed to this goal of enlightenment. I'm curious. I would love to hear you define enlightenment. What is enlightenment? What is it that we are working towards, whether it be through ayahuasca or thorough yoga or through any of these spiritual practices, subtle, not subtle, whatever it is that we're working? What is the goal here? What are we trying to uncover? Or prince. I don't know, but they think of these ascended masters, and, certainly, this is a level of very high enlightenment, but enlightenment really and truly is, any time that we make a change for higher energy, I become more enlightened. When I become more accepting of myself and others, I become more enlightened. When I choose to love myself and not judge, when I choose to love others or simply accept and respect others and not judge, I have reached a level of enlightenment. I think that when you say what are we working towards right now, I think as a collective human, the level of enlightenment we're working towards is unity, just being able to ... like the ants. You can have 500,000 ants walking north and 500,000 ants walking south in the exact same line, and there's no conflict. They coexist, and they work with each other to move along that same line even though they would appear to be moving in different directions. I think that this is the first step of major enlightenment that humanity is seeking, just a unity on earth where we can exist in equilibrium with life around us, where we have peace instead of war, where we have intelligent conflict resolutions instead of aggression, where force is what we work with instead of power. This, to me, is the first step of human enlightenment, is unity. Exactly, yeah. That's the teachings of all of these paths that we've been discussing here. Thank you so much, Carlos. I think that that was insightful. Go ahead. I just want to say that, if you have interest in ayahuasca, if you have any questions, I would be happy to answer. Our entire group would be happy to answer them. We have a website, www.FincaAmbiwasi.com. That's F-I-N-C-A-A-M-B-I-W-A-S-I.com, and we have a non-intrusive newsletter that you can sign up for that only goes out with dates. Then there's contact information there if you have more questions, without any commitment. If you just have questions about the medicine, we'd be more than happy to help. We host two retreats a year in Colombia, and anyone that's interested that feels the calling in their heart is welcome to ask questions and, of course, is welcome to come and sit in ceremony with us and join us. Other than this, I would just say that you have to follow your heart. If yoga, if ayahuasca, if tamascal is something that is sitting in your heart with curiosity, go forward; explore it. I think that that's good, but I do think that there's ... I'm seeing a lot of concoctions, these concoctions of ancient wisdom that the Western mind is starting to pick. I'll take this from here and this from here and this from here, and digging lots of really shallow wells. I think that trying something for sure, but it's important, as we develop as spiritual practitioners, that we do work to find a lineage and a path to really go deep with a particular discipline. I 100% agree with that. For my path, my path right now is the path of yage. This is the path that I'm on right now, and I've been on this path for five years in this lifetime, and I agree. I also don't want to ... So, for example, I will go practice Pilates. I will go practice qigong. I will go practice yoga. If needed, I will go to an acupuncturist. I will go to Clarity Breathwork because I find that these are things that help me, so definitely use tools that help you, but, like Adi said, do not dig shallow wells where you're just this cool traveler having little bits of this and that but no true anchor, no true root. [Inaudible 00:38:44]. Beautiful. Thank you so much, Carlos, for your passionate, insightful expression. We'll get this up here soon, so, for you guys listening, you guys heard the information from Carlos, and we'll make sure that it's in the show notes for you. Thank you so much to all of you for your commitment to raising your own personal vibration. I'm Adi Shakti. Podcasting live from the lush jungles of Costa Rica this is Vibration Rising radio with your host, Adi Shakti and Carlos Duran. Adi Shakti, how are you? I'm so good, Carlos. It's been a long time. Isn't that the elephant in the room? Why have we been away for such a long time. Been working, growing the company, getting out in the world and learning, and sharing, and recruiting, and all kinds of exciting things. That's actually very true. I've worked very hard on my surfing in our sabbatical, and I have not gotten any better at it, but I'm glad I had the time to do it. No, that's not true. We've been traveling around the world. You went to Africa. I did, yeah it was wonderful, Kenya. I took a five week training in the Amazons of Colombia. What else have we been doing? Just groups. I've got my personal transformation intensives here in Costa Rica, and I'm on my sixth one right now, wonderful group of 28 people diving in. Just been focusing on personal transformation. That's beautiful, Adi. Today's topic is pretty interesting. What is it? We're going to talk about karma today? 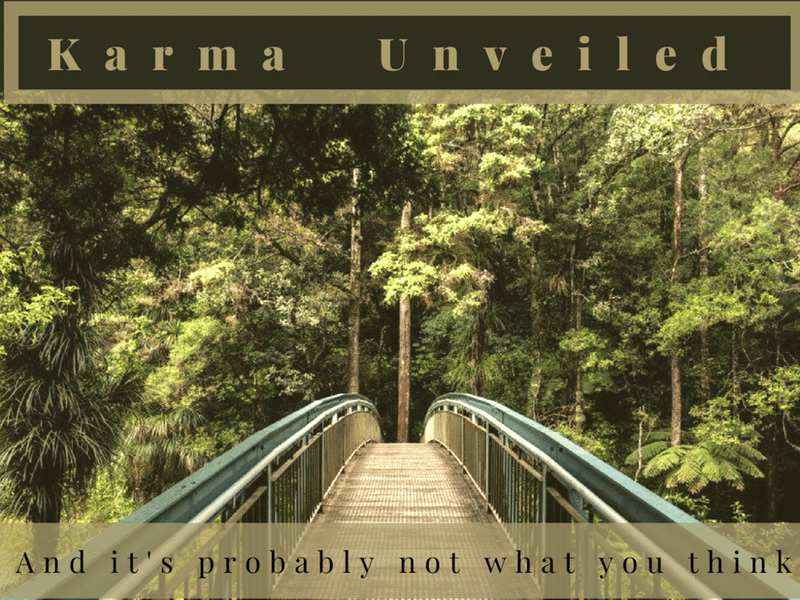 According to the Hindi tradition, or the Yogic path, which is your path, what is karma and how does it work? Karma, I think in the west maybe it's a little bit confused from the roots than when we're talking about the yoga tradition. But we really learn about karma in the Bhagavad Gita, is the primary text where we dive in to what it means. I think that the common idea of karma is that you do good things and good things come back to you or you do bad things and bad things come back to you. But it's actually a little bit different than that in our tradition. In the yoga tradition, karma is accumulated action, and it's action that's been performed outside of the truth. The truth is that we are all connected, that we are all one. When we steal, when we lie, when we dishonor, when we are performing actions that are outside of alignment with divine will and that truth, then we accumulate what you could call consequences or there's ripples. Those types of experiences will show up later in our lives for opportunities for us to move through them and burn them. The work in the yoga practice is actually to burn through the karma. You're not doing things to get good karma back to you, you're actually just trying to eliminate and move away from any action outside of the scope of divine will so that you can fine tune your practice and melt into these higher levels of consciousness and eventually ideally find enlightenment. That's kind of the concept, in a nutshell, in the yoga tradition. That's pretty interesting. The way that the ayahuasca path teaches karma is considered ... It's a word you used before, it's considered roots. The teaching is that, from our ancestors all the way to the point of genesis, each single being comes with a story. This story is connected to our ancestors. These collective stories create a root. This root goes back to the Tree of Life. Karma, in our culture, is a disconnection in the roots. Something happened, a decision was made, an action was taken, that was not in alignment with that root, with that root's connection to the Tree of Life and that causes a disconnection. The way that we resolve that disconnection is by dealing with what we're calling karma. Yes, absolutely. It's beautiful when we're talking about the ancestry, you talked about that, and we have the concept of karma within the tradition that I follow as well. It's very very similar. It's the belief and the truth that we are the manifestation of our mothers, that we are the manifestation of our grandmothers. When we're talking about a woman's eggs, she actually produces all of them in utero. My grandmother's womb held my mother and my mother developed her eggs as well, in utero. The concept is that I actually was in the womb of my grandmother. But this isn't so much as a concept as a scientific fact. But the concept here is that we are the flesh and blood of our ancestors, that within the DNA that there's this transference of information from one generation to the next and that, me as a person, I'm holding the karma or the physical manifestation, the emotional information, whatever it is that my ancestors have yet to heal and work through and realign with. That I am the physical manifestation, it's my work not only to heal myself for the sake of my children and the generations forward, but also I'm healing back. According to the teachings that we have now, it's said that we're living in a time of ancestral karma. Meaning that today's moment is a moment when the individual is not just burning, or dealing or facing their personal karma, but they are actually also working to heal their ancestral karma, to heal that disconnection from the light or that separation from the truth that our ancestors experienced. I think it's something akin to when The Bible says that the sins of the father will be visited upon the children and the children's children and the children's children. I think now what we have is the opportunity of healing from the father's sickness being visited upon the children and the children's children. Right now we're facing a moment in cosmic alignment, in terrestrial existence, where we not only have the opportunity to elevate ourself as an individual, we have the opportunity to heal and elevate our collective family dating back to the very beginning of whatever that genesis is. Then we have another layer of that as well, which is the energy of the past lives. As a human, the idea is that we actually have the physical ancestry, but we also have this concept of reincarnation where you can be dealing simultaneously with a physical history, that maybe you have access to information about or maybe you don't, but you can kind of understand some of the implications of that. Then as we become wiser and move through these layers of consciousness, we can get access, more and more access into our past lives. That starts to play a role in this conversation as well. Right, because many times we think of our ancestors but what we fail to realize is that we are part of that ancestor. At some point in time, my soul was my great-grandmother, or my great-aunt, or my great-uncle. I was that same soul coming back now, replaying again and again in the lineage of our families in the story. I wanted to ask you something because you made an interesting point. You said that kara is not necessarily doing bad or good to speak in terms of duality, but it's a burning process where we're burning away the lie or the disconnection and then return to source or return to truth. Would that mean that you do nothing? I mean, do you just sit there and meditate all day? What is your understanding of burning through that karma. There's different paths, and this is something else that we get into in the Bhagavad Gita, but it's said that the most noble path is the path of karma, or the path of action. We have the path of the renunciate, where you escape to the Himalayas and meditate and have that process. But it's actually said to be ... The most advanced practice is to be of the world and to work through these things. As you're burning through this, the idea is that you recognize and you awaken to the truth that we are all of the same essence, that we are all, at the most core level, pure consciousness. If I recognize, Carlos, that you and I are the same, then I then recognize that stealing from you I'm just stealing from myself. What's in your best interest is in my best interest. Absolutely, absolutely. It's this process of aligning my life with that truth. It's interesting because there's a piece in the Bhagavad Gita that I'm understanding more and more as I advance on the spiritual path, but it's this concept of the fire. If you think of your karma, or whatever it is that you're meant to burn through in this life, as logs and you catch fire to those logs and you have a roaring fire and you're doing your spiritual work, there is still smoke, there is still impurity in that work. There's the intensity of the heat itself. Right, there's the intensity of the heat, but then there's also ... There's smoke with that. You're burning, and there's this fire and there's this transformation but it doesn't ... It's not perfect. There's other things that may be confusing. For example, say you are in a relationship ... This is something that comes up a lot with my students, and maybe they're in a relationship and they care a lot about the person, but they maybe come to the recognition that this partnership isn't what's serving their highest good. It's a complicated decision, because you don't want to hurt the other person, but you also need to honor yourself. It's this process of trusting in and realizing that even though a situation may look messy, that that's okay. Does that make sense? So that as we're burning through things, or as we're following our path, that it's not always black and white, like this is very very obviously the thing that I'm supposed to do and there's not other repercussions for that. It's another kind of subtle piece of the story around karma that is very interesting to me now especially. I think what happens in the western world, we are socially programmed to look at aesthetics in a certain way. In order for something to be good, it has to be clean. Everything has a place, a box where it goes into or a title that it goes under, and I don't think that's realistic. I think, for example, like the teachings of tantra, where we should seek to find divine sweetness even in the flesh of a rotting corpse. I think this is what you're saying, that when we're working to burn off our karma, it's not going to always be beautiful and oh my god, I'm doing all this great work, why is everything chaotic around me? Well, it's the smoke. It's the burn off, and it's part of the resettling. I think a lot of times we get lost in translation and we think that just because we're doing something spiritual everything has to go right. Everything is going right, even though it may feel chaotic, because the universe is stripping away what no longer serves you. You're burning away those old, rotten foundations that you've been based on, so there is a certain crumbling, or there is a certain chaos. There is a certain rotting flesh. But, from that process, we need to truth that purity and divine essence will manifest. Right, and the perspective ... We have the human perspective. I mean, as we get wiser we're able to have a more accurate and clear understanding of what's actually going on. But in the human experience, we're stuck in our human experience, so to understand and to have the faith to understand that there is some sort of divine reason, or some divine mapping that is beyond what we're understanding now for the trajectory of our life is powerful. Namaste, this is Adi Shakti, and I just wanted to take this opportunity to invite you down to Costa Rica to partake in one of our personal transformation intensives here on the Caribbean coast. You can head over to PassionYogaSchool.com to learn more about our upcoming intensive trainings here in the jungle. Thank you so much, and I look forward to seeing you here in the jungle soon. Namaste. Adi, so the idea of karma and burning through karma and doing the spiritual work sounds very beautiful, but I also think that we need to bring awareness that daily actions and daily choices do cause, create consequences. There is a boomerang effect in our life. I think something that I know I've had a hard time struggling with, I certainly noticed how my poor decisions create almost immediate consequences, certainly in my life. I know I've seen some real assholes out there that I think to myself how are they getting away with this, but that's a bigger karmic mountain that they will face down the road. But I've also noticed in my life that it takes a longer cycle for positive actions to come back. But what I have noticed is that, in this longer cycle, an intensity builds up. In other words, it comes back multiplied. In that multiplication of things that come back to me, I want to take a moment and discuss business and business karma. Before I get into it, I'd like to hear your thoughts on that. Again, back to the Bahgavad Gita, the teachings of the Bahgavad Gita. It's extremely important that as practitioners, spiritual warriors, conscious entrepreneurs, whatever it is, that we're doing the work for the work's sake. I believe that what you're saying, that all of this ... It does come back, and as we pour good things into the world, inevitably of course we see that coming back. But one of the primary teachings is a detachment from the fruit of the labor, that the labor itself is the devotion to the divine, the labor itself is the devotion to great spirit, God, whatever you want to call it. The labor itself is the reward. Yes, exactly, so that's the process. Especially as an entrepreneur, you're not seeing energy coming back to you in a very ... We're talking dollars and cents. It can take a lot of work and a lot of time before you're seeing that cycle back. But if you are in your soul's work and you're spending your days doing what you really believe that you're meant to be doing, and you're doing the work for work's sake, and you try your best to surrender and to detach from that outcome, those are the teachings of the Bahgavad Gita, that that is going to lead to deeper states of contentment and higher states of consciousness. What I want to say about this is that, first of all, to understand that there's something called dharma. Dharma, like you're saying, is your life purpose. I think the first thing when you're dealing with business ... Because many of us take so personal what we do professionally, I think the first step in dealing with your business karma is that you have to be in alignment with your dharma. You have to be working in where your soul feels that this is the place, your soul is guiding you, this is the line of work that you should be doing. I think that's the first step in business karma. I think then the next step in business karma is what you said, you do the work for the sake of the work because this is what your soul wants to be doing. According to the teachings of Kabbalah, it's a gift to have a physical body in which to work through your karma because there's no other way to do it. According to Kabbalistic teachings, your terrestrial karma is accumulated in a body, so in order to balance it it also requires a body. When you have alignment with your purpose, when you practice no-attachment, you do the work because it's a gift and it's an opportunity, then I think that the next thing to look at is the choices that you're making. A lot of people, I find when I deal with clients, they will separate their personal life from their business life. That, to me, is a huge mistake because we only breathe one breath. Whether I'm wearing my hat of father, or my hat of podcaster, or my hat of entrepreneur, or my hat of therapist, I'm still breathing only one breath and the actions that I take have impact across the full spectrum of my person. I think it's very important that we understand that if you're making a decision in business and you think to yourself well, it's for profit and my business is for profit, and profit just means dollars and cents, you are missing a big part. Because the real profit of any action in this world is profit for the soul. I think the treasures of the soul should come before ... That should be the priority of scale, where you first are looking at this, what is the soul impact of this decision. If I'm going to buy this land for development, with what consciousness am I going to do it? Am I going to do it in a sustainable fashion, or in a fashion that's only profit driven? Not that profits in dollars and cents is wrong, because it's not, but it's secondary to the kind of profit or loss that you're going to produce for yourself spiritually. I think that, as human beings, no matter how successful we are in business, if we truly want to achieve a karmic balance we must look at our whole life as a single unit and recognize that the decision that I make here will effect me over there. Yeah, absolutely. I think that part of my dharma now that I am awakening to and has become very clear is this path of reshaping how it is that we talk about the economy. We live in a world now where everyone is very very aware that the money is what is controlling the politicians and the politicians are the ones that are making these grander scale decisions, in the matrix anyway, and I know a lot of our listeners are in that space. The reality of what's happening now in this grassroots, dharma-based, soul-based entrepreneurship direction is that we recognize that money is a tool for impact. That we aren't actually voting on November 8th, we're voting every day for the types of businesses and things that we want to continue to manifest. As conscious entrepreneurs, and as we develop and have the courage to move forward with our life's work and cultivate the skills and the ability to increase our impact and to do whatever it is that we're called to do, and are able to vote for each other as freelancers, or vote for each other as small businesses and begin to kind of reshape what the economy looks like, I do think that it's also valuable for people that are doing the soul work that are good, kind, loving, hardworking people determined to make the world a better place aren't then ashamed to turn away from money. Because money is a tool for impact, and money itself is not evil. It's the people or the corporations, or however you want to label it, that have gotten a hold of the resources that have then moved towards exploiting them. Where if good people can get a hold of the land that are committed to taking good care of it, if good people can get a hold of the resources and are then committed to creating a more loving and sustainable world, then that's the direction that we want to move in. What I see are healers and yoga teachers and people that are passionate about permaculture or whatever it is, they shut down this opportunity to grow their businesses or to grow their impact. Then we're kind of left in this world where the resources are still in the hands of the people that maybe don't have the best intentions, or aren't on this dharmic path of healing the earth and healing themselves. I think it's important that we start to talk about the economy in that way, and what it means to be a conscious entrepreneur, what it means to be a spiritual entrepreneur and for people to move towards educating themselves with the skills that they need to really step fully into whatever it is they're meant to do in this life. I think that's a great point when we talk about the evils of money, because I'm certainly one that has ... I feel that I have doven ... Dived, doven, deep? Sure yeah, I'm with you. A deep dive into the world of money. I openly admit, I have drunk deeply from the cup of gluttony and found it to be lacking and very distasteful, but I drank nonetheless. Money is very curious because the great teacher, [Jashur Benjasef 00:22:42], was quoted in the Christian Bible as saying that the root of all evil is the love of money. I think that what we're looking at with money and karma is perspective, because those dollars and coins that we have in our pocket could easily be buttons and wooden blocks. It's a trading mechanism. We have allowed it to become more than that. We have allowed money to become a dictator of resources. We have allowed it to become a definer of life. What have you achieved is often determined by the money value attached to your achievements. Did you make it, are you successful? To me, it's funny because anything could be money. For example, if you look at what money is in the physical sense, it's a canvas with ink on it, so it can be perceived as artwork. No matter how crisp your hundred dollar bill is, if you go into an art gallery it's only worth a hundred dollars technically, because if you actually start calculating economics and devaluation it's probably worth about two cents. But that hundred dollar bill is never going to be considered a grand piece of art. It's mass-produced, anybody can get one, so it doesn't have a unique value. The only uniqueness to money is social perspective. I think that, in complete alignment with what you said, if we want to heal the karmic wounds that money has created in society, in the human psyche, we must reshape, or redefine, our relationship with money. Why shouldn't I have a hundred billion dollars? I guarantee you I will do a better job with a hundred billion dollars than Bill Gates or Warren Buffett, or name your favorite CEO. I will do a better job with it, because I would put those resources, those buttons and wooden blocks, to work for the benefit of humanity. Well, and I will say too that I currently am searching for grants and funding for different things that I'm doing, nonprofit and otherwise, and I will say that both Warren Buffett and Bill Gates have both been ... There's lots of generous opportunities that they put out for people in the world, so I just want to say that. In other words, the biggest narco in the world can come to me and say, "Carlos, I need to get rid of half a billion dollars. Would you be willing to take it off my hands?" Absolutely. I understand that it's blood money, I understand that it's drug money. But I also understand that by taking that money and stripping it ... The birds agree with me ... And stripping it of all that energy and transmutating it into social good, transmutating it into resources that can be used to empower, to amplify progression, to amplify healing, I would do it. Just like you would take a grant from any institution, even if it was General Electric, even if it was Coca Cola. You would still take that grant money and apply it towards the benefit of humanity, towards the benefit of others. That, to me, is a karmic transmutation of the money. Good day Vibration Rising Radio listeners. This is Carlos Duran here, just wanted to let you know about a project we have bringing indigenous art from the Colombian Amazon out into the first world. If you'd like to check out the pieces or learn more about how the project works and it supports local tribes in Colombia, please go to [Facebook.com/PintasDeJaguar 00:27:24] or just scroll down and follow the link in the show notes. Thank you so much, and have a blessed day. I was thinking about something this last week, and I am in the process now ... I have what I call The Empowered Goddess, it's a six day modern business seminar for the awakened woman. It's a place where I'm educating healers and people with good hearts, good intentions that are working to expand their impact. I'm educating them on strategies to actually grow their businesses. Here in the last couple of years, I mean I've been able to break six figures in my business just in a couple of years. I'm living simply, I'm living sustainably. I travel like a crazy person, but I also am hiring beautiful-hearted people that are here helping me with the work that I'm doing here in the jungle. I'm giving back to the community, all of these types of things that I'm able to do because I've educated myself on online marketing, all of these different things. In my advertising and putting this out there and trying to help other women, most specifically, educate and empower themselves, I've been getting a lot of hatred, a lot of people giving me all kinds of different comments and things about how what I'm doing is unethical. I get in these places where I'm arguing with these people that I've never know, met, or ever will in my head. This idea came to me that I thought was kind of interesting, something that I've never really thought about before. But when we're talking about the patriarchy and we're talking about something as simple as getting a mortgage for example, in order for you, as a person that's making a standard wage ... Say if you're a yoga teacher, I mean standard wage for a yoga teacher throughout the course of a year is probably like $25,000. For you to get a home for your family, you basically have to go to Daddy Warbucks and throw yourself at their feet and beg and hope that you are able to check off these boxes and that you are worthy of a home. Which is horrific, because I've been in a place now in the United States where I have thought about buying and have talked to some mortgage brokers, and this is the reality, that we are, in general as the general middle class public, aren't even entitled or aren't granted enough resources to actually be able to even take up a little bit of space. I've been very blessed this year to be able to buy some land here in Costa Rica. We're moving, we'll be living in a conscious community, shared gardens, organic of course, container living, all that kind of stuff, and really trying to move forward in a way that is sustainable and in line. I don't want to have to do it in debt. It's so interesting that as I throw these ideas out there of using what you're passionate about, using your soul work as a tool for actually being able to create the life that you want financially and otherwise, and being demonized for that. But I understand what they're projecting. I understand what they're seeing, and it's that we should just do it because we have good hearts. But the fact is that if I didn't receive a fair income for what it is that i pour my entire soul into, then I wouldn't be able to do that. I'd be in some law office probably, working for some miserable person and protecting corporations or whatever it is that I would've done with my degree. Bringing this back into karma and our dharma, our life work, what it is that we're supposed to be doing, there is no reason that you and we, as a human race, shouldn't be able to claim our space and claim what it is that we need to survive and to collaborate and to heal the planet. There's no reason why we shouldn't be able to do that. How the world is organized now, you need money to be able to do that. Just kind of something that I've been working with lately, of really trying to get people to really question their money wounds, question their money view, and before they're judging or making these assumptions about what other women are doing, to really have the courage to start to really look at what's going on in the patriarchy and how it is that we're supposed to think and feel about money. Kristen Seymour is editor-in-cheif of FitBottomedEats.com and is one of the trio partners at Fit Bottomed Girls. She is an athlete competing in sprints and half-ironman triathlons, she seeks to gain through simplicity and serves others with passion. Her profession preaches balance her life demands it. As part of the team bringing to the world the fast selling book, The Anti-Diet, and as editor for an online publication and as a business partner in a globally dynamic women’s movement, her professional life makes heavy demands of her; it requires laser focus and an hour-less clock. Yet she has honed her routine to a pace which gives space to the things she values in her personal and spiritual life. Kristen uses her business as a mirror for her own growth and in doing so helps her business grow. Embracing her own power was an early struggle she came to terms with by her twenties. Since then she has dedicated much of her life energy to supporting women overcome negative self images. Getting over self-induced guilt and enjoying your choices is her mantra. She teaches women to bring into play their true self with a focus on total wellness and life enjoyment. Her business practices have helped build a thriving online community which literally fuels the company’s growth. By using body wisdom, intuition and team collaboration Fit Bottomed Girls is changing how women live, eat and do business. They are emerging with a new paradigm for success in and out of the office. Fit Bottomed Girls new book, The Anti-Diet, is about the idea you can enjoy food, be full and get healthy while eating real food and plenty of it. The way you eat fuels you and you should do so in a way which makes you happy and fulfilled is the underlying message in their book. Because being a woman can also mean being a mom, Fit Bottomed Girls has opened a door for new mothers via Fit Bottomed Mamas. Looking to help maximize the beauty in all women and explore how wonderful being a woman is are two of the driving goals behind Kristen Seymour and her partners vision. Every year they launch the New Year New Rear give-away campaign and women’s health support campaign. Fit Bottomed Girls is a business built on the same principles they share with their clients and subscribers. They listen to feedback, their motivation is more than profit, they stay in touch with their clients and they create products to fill a need not just settle a fear. Going way outside the box Fit Bottomed Girls is living creativity and a pioneering conscious business success. Join Kristen Seymour on Vibration Rising Radio to hear the inside story on how three women are changing views on feminine beauty, creating new empowering life habits, publishing books, supporting each other, reaching out to new mamas and blending entrepreneurial tenacity with practical spiritual principles to live a dream and at the same time help other women do the same. Nikki Sharp is a life expert. She has built an international following and successful online business, she has a “most downloaded” app on iTunes (The 5-Day Detox) and is about to be a published author. Nikki’s soon to be released hardcover book, (The 5-Day Real Food Detox), is a pioneering formula for detoxing your body while actually eating food instead of fasting or juicing. Like many of us, at one time in her life, Nikki was overwhelmed by the grinding demands of work and decided she was going to create positive changes for herself. After being laid off instead of going through another draining job interview Nikki decided to begin writing out the life she wanted to live. Once she she was satisfied with the plans she had drawn up she began to work on small steps to achieve her design. Through challenges, tough times and moments of doubt Nikki rose above it all to be sharper, stronger and fulfilled with the lifestyle she was creating for herself. Nikki brings proven practices to improve your health and your wealth. She is an online marketing expert, a fitness mastermind and dynamic teacher. She created an app from scratch which literally brought the publishing world to her feet. In speaking with Nikki she laid out, with nothing held back, how to build your list of clients for-profit, how to build your own app and what to focus on in order to achieve online business success. Nikki Sharp blends the ideal balance of sound living with killer business instincts and then goes one step further by showing you exactly how she does it. Join Nikki Sharp on Vibration Rising Radio to hear the inside story on how a single woman with no special privileges is building a virtual empire from the ground up, how she is making headlines with a new way of detoxing, getting published, is helping improve hundreds of thousands of lives and stays centered to enjoy the ride. Adi Shakti is a living embodiment of the word Phenom. At the young age of 26, she carries her spiritual practice with her wherever she goes. This includes her philosophy and actions in the business world. She volunteers at the international and local levels and is fully present and committed in her marriage. Adi lives a delicious breath taking life traveling the world and calling the jungles of Costa Rica her home. She is surrendered to Creator calling the Universe the boss of her time and body. Adi’s passions are for the betterment of humanity, making healthy people her business. She lives for assisting in empowering you to reach your fullest potential. Adi uses a real world approach to Yoga living on and off the mat. Most of her volunteer work is in empowering women with healing and growth. Her focus for balance is mesmerizing. With simple views she is able to manage her businesses, lives the path of a spiritual human being, has life changing ideas on how to balance work with intimacy and is transparent about her flaws. Discover how to engineer your life for fulfillment and success while traveling with Adi as she shares about what she does and how she gets it done. Hillary Damato is a live food specialist, raw beauty counselor, mother of 4, and wife to previous guest, Dr. Gregory Damato. She overcame a life threatening illness using a holistic healing approach. Her husband and children all follow a live food diet with serious daily doses of nature. Hillary is the author of several detox and conscious parenting courses. In this episode, Hillary Damato breaks down her secrets for raising highly intuitive and attuned children. How she runs a small business, co-creates with her husband, enjoys time with the family and makes time for herself. She offers her personal and proven practices for spiritual, mental and physical balance. Hillary also offers her backyard tips and tricks for healthy, glowing skin you can use for pennies on the dollar. Explore why taking time to make your own life experiments and discover how you feel (for yourself) is so important. Both men and women will gain insight into the other from this presentation, how women process men and the power of woman’s circles is covered. Hillary offers her ideas to grow as adults and for releasing day-to-day stresses in happy healthy ways by sharing, playing and using music. The joy Hillary brings to the table is guaranteed to light you up with passion for a higher vibration in your life! Children have the highest frequency, find out why, because the answers will blow your mind. Achieving the Theta rhythm and getting into true deep sleep with no pills or expensive treatments. How to maintain high a frequency by picking the people, the environment and the foods which support and generate higher vibrations. A complete outline of the pineal gland as our spiritual center and clarity. What are the three biggest calcifiers of the pineal gland and how to eliminate them from your body. What is the “perception of life” and how our brains cannot distinguish between TV violence and a violent act taking place in front of you. Getting your family to relish the act of enjoying karma free foods. The 3 major phases of disease growing in your body and how to spot them. What are the major benefits found in the process of coming back to our true self and overcoming the deficiency of nature. What is earthing, sungazing and plant based living. The very simple process used by those in the know to reach a place where you honestly love yourself and have happiness which flows from within you. How to gain awareness of environment. Why the Pineal Glad is the seat of the soul. How you can discover exactly what you need to be doing right now on the planet . Get rid of the silent killers you don’t know are hanging over your head at home. Easing away from stress and anxiety and into your own bliss. Nature and the return of your own emotional intelligence. Avani Ramirez international yoga instructor, clarity breath work facilitator and former city girl turned full-time jungle resident shares with us the mental alignment, cleansing journey and healing powers a simple breath practice offers just about everyone. Known as clarity breath work, it is the closest you can come to having a shamanic plant medicine experience without any plants or shamans; only using your breath. Avani talks about “focused conscious breathing being a practice as old as time” and this technique is a modern fruit from ancient trees. She notes it is distinct in how simple it is to practice and how quickly you have a full recovery awakening transformed from the process. Find out how breath work gives you full release of negative thought patterns and how it breaks negative habits. Within an hour your mind shifts away from self-destructive thinking into thoughts of harmony and balance. With thousands of people worldwide taking part in this experience every month, the simple tool of breath with a simple to use technique is bringing ancient wisdom into modern lives.